I’m sure you’re all on pins and needles as to what I’m doing. Right? :D Well, first, congratulations to Mr. Jon Strommen for being the first to recognize those pictures as being Korea. 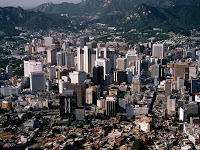 They’re from the city of Seoul which is the second most populous metropolitan area in the world, after Greater Tokyo. I may take on a teaching job there, and I went through all the steps of trying to find out if this is a sketchy recruiter or not. However, the benefits outweigh the cons right now (and the cons are working 30 hours a week when you should be working at maximum 25) I am provided housing within walking distance of the school, insurance, free round trip flight, and a salary on top of that. What’s great is there are tons of English teachers there, just like me, and a US base chalk full of Americans so I won’t be a lone western there. Usually I don’t like that, but in this case I’m getting thrown in head first alone into a city that doesn’t use the western alphabet, so I’ll be glad to find someone who can explain things to me. I will be getting the contract next week. After Korea I'm moving Alaska for a fresh start in life. 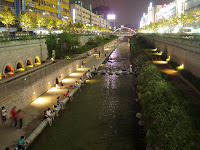 More about Korea! I’ll be hiking in the nearby mountains outside of Seoul, eating crazy food and romping around old palaces nestled in the middle of the city. The temp in Seoul is around 27 degrees in January, so it's warmer than Wisconsin. I'll be lucky to see any snow. Koreans do a lot of hiking, though most of the really scenic stuff is actually in North Korea, there are still mountain ranges to explore and decent transportation around the country. There's also a website set up to gather climbers together on trips because it's really big there. I signed up so hopefully I'll get to do some climbing on a weekend. There's a lot of coast to see as well, being a peninsula and all. Too much to explore in only a month while I'm teaching most of the time! I'll make it work though. Ginseng Tea is very popular in Korea and they have lots of ginseng tea houses where I'll probably be found after a long day of teaching. I loved coffee shops for studying in college, so I'm sure I'll love tea shops just as much for grading papers. Ginseng is thought to have medicinal values to it, and is considered an aphrodisiac. If anyone wants any ginseng tea, red or white, or any other Korean teas or herbs, let me know. I know you can get it in the states but it's just cooler to come straight from a Korean store. (Ann and Jeremy you're already marked for a few, no need to ask my tea loving friends, maybe I'll find you some more campfire smoke tea that you love so much). bird's eye view of Seoul. 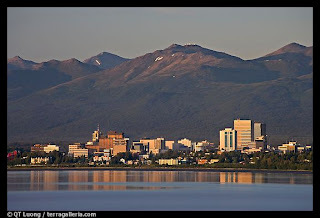 A note from my Lonely Planet: Anchorage wasn't built by city people. Rather than suburban wastelands, you'll find vast tracts of green space, wild places connected by unparalleled system of hiking, cycling, and ski trails. Here (in Anchorage) you're almost as likely to see bear and moose as on your bus tour through Denali National Park; heck, you're likely to see Mt McKinley, emerging icy and unconcerned above Turnagain Arm on some sunny night as you stagger home from the bar. And there are about 50 glaciers to visit within an hour of leaving the city. Now does this not sound like a perfect place for a nature lover such as m'self? 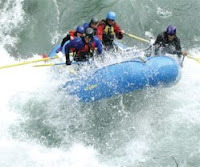 How cool is it to have river rafting trips at my finger tips (Class III through VI, but anything above a IV I need to learn how to roll a kayak), glacier hikes, and hiking in general, and tons and tons of outdoor adventure tours are all reasons that satisfy my decision to move there. This stuff is only a stones throw from Anchorage on top of that! Just think what the rest of the state has for me to explore. 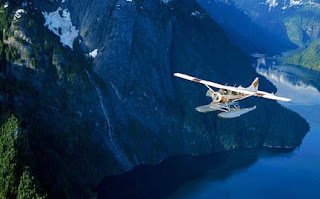 If all goes to plan I may be working for a flight seeing company outside of Denali National Park for the summer. This would be the perfect time for everyone to come visit! Those national parks are massive. I hope everyone is well! I'll keep posting. I'm really glad you got everything worked out and that you're going through with this! I think it'll be a great step and you're going to really enjoy it. I hope everything goes smoothly. I'm sad that you'll be so far away, but we'll work out visiting each other somehow. Check out Kukkiwon for me. It's the international headquarters for Taekwondo. If you look hard enough, should be able to find both Josh O'keefe's name, and my own somewhere in the registry there. The rapids in Denali are insanely fun, so be sure to check em out. All in all, sounds like you've got quite a trip coming in the next few years. Amanda, you truly are one of a kind. this is all amazing. I'm really happy for you - Maybe I'll be able to come visit you in Alaska sometime! Sounds like the start of an amazing journey. The place I stayed was in Eagle River just North of Anchorage, the spot where I stashed the laminated licenses was a mnt/hill in Eagle River (forgot the name). You drove up most of the way and walked in through a gate. It was a nice view of McKinley which you can see when it wants to be seen. I put them under a rock about halfway up on a steep bank. I suppose it will be quite deep with snow when you are there. I would like to make it to that winter festival where they race on ski's behind snowmachines. I sure hope you can stay through into summer. I can still smell the air, and it has been chewing at me to return ever since I left. Got the photo scanner finally. Take many photo's I am sure you will love it, I hope mother nature goes easy........Enjoy the world...Oh yea I'm into Ginger Tea-Owl Brand with honey was my fav....cant find it anywhere. U.P. Seoul as well as Anchorage are going to be awesome. Especially being in Alaska will be great. So when are you heading off? Can we come visit you?